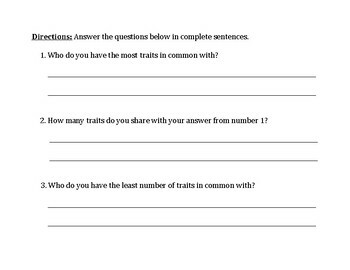 Students record their own observable traits in this activity! They then have to find out where that trait came from. 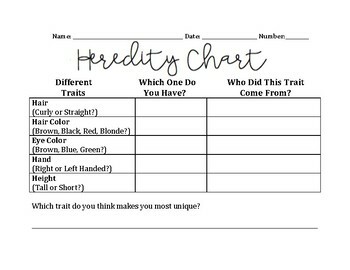 Last, the students answer questions on their unique set of traits.